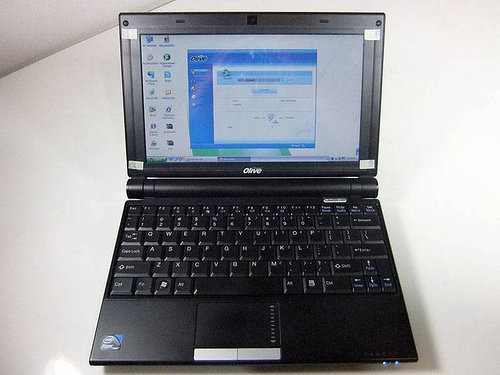 The Olive Zipbook is India's first netbook to have a built-in high-speed internet modem. Its specifications are comparable to that of a two-generation-old netbook with an older Atom N270 processor, 1GB RAM and 160GB hard drive. Not to say that the newer generation hardware makes a huge difference in performance, but at least it could have served up better battery life figures. Pre-loaded with Windows XP, the Zipbook is zippy enough to do basic tasks like surfing the net, work with office suites or watch movies in standard definition. HD (720p) movies on the other hand tend to choke, as expected. At an MRP of Rs. 20,999, there is a slight premium, but that is warranted as the in built 3G modem is about Rs. 3,500 today. Performance-wise we had no issues browsing and “MS officing”, also battery wise this product is right up there. On normal usage we got 8 hours and 33 minutes but with the back up to be precise. We like this product for the simple addition of the in built modem, and the fact that the other areas of performance can stand up to the big foreign brands. 10.2": Es handelt sich um eine typische Display-Größe für Tablets und kleine Convertibles. Displays mit dieser Größe sind heutzutage eher selten geworden.» Prüfen Sie in unserer DPI Liste, welche Displays wie fein aufgelöst sind. Olive: Indischer Handy-Shop mit eigener Notebookmarke.